A Serious Reflection of the LOCAL Police State | Scanned Retina – A Resource for the People! 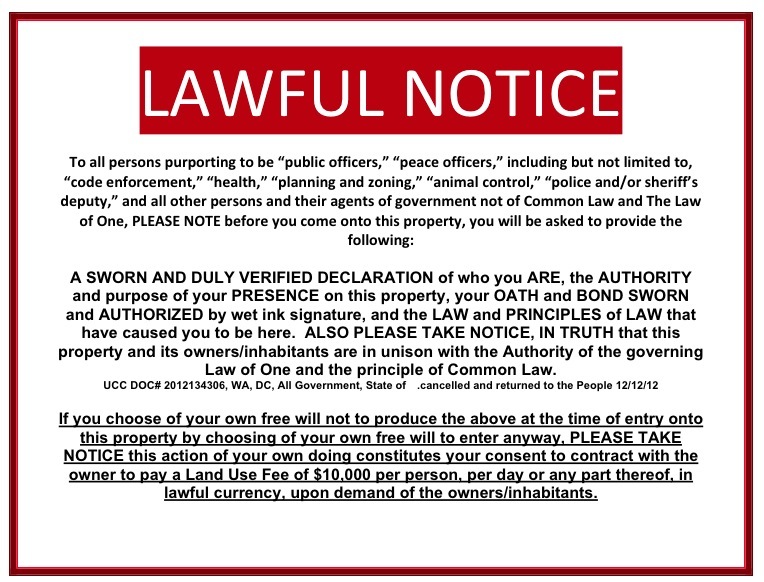 For those patriots or dumbed down people who have no clue as to what is happening in America…please be advised of this official notice. Many people are of the mistaken impression everything within their city or county is just fine…peaches and cream. A view through rose colored glasses. You may find upon closer examination the members of a local police department are not the peace officers you are led to believe they are supposed to be. You may be shocked to learn they are not on the payroll to protect and serve YOU, but to enforce unconstitutional processes imposed by municipal corporations extorting money from unsuspecting citizens just like YOU. Many of these enforcers are no more than hired guns; criminal enforcers…mercenaries. They are totally unaware of the restrictions of the Constitution. Many may not have been subjected to take an oath of office. Many are not trained as peace officers but as stated above, private guns. Many are not even qualified to draw a paycheck based upon the charter of the individual corporation by which the police department is controlled. People interested in more details should be concerned with performing local oversight of their local community resources. Investigating the hiring practices and the policies of the various community resources can reveal many suspected underlying relationships as with agencies like the DHS. Does your community possess a tank-like armored vehicle?